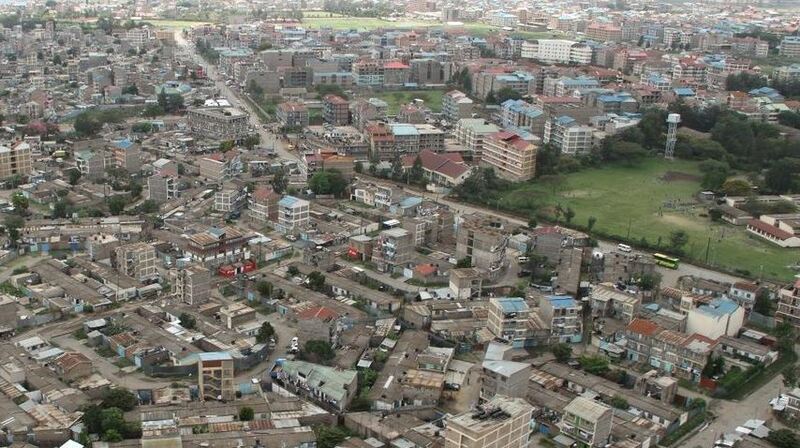 The government will in a few months time launch a low-cost housing project that will see 30,000 houses constructed in Nairobi’s Eastlands area. The project is in line with President Uhuru Kenyatta’s ‘Big Four’ agenda. It will see 5,000 houses constructed in Shauri Moyo, 20,000 in Makongeni, 3,000 in Starehe and 2,000 in Park Road estates. Construction is expected to begin in Park Road in three months while in Shauri Moyo, Makongeni, and Starehe, construction will kick off in six months. According to State House Spokesperson Manoah Esipisu, the Nairobi regeneration team has given itself six months to finish the project. “We’ve already discussed setting up the Kenya Mortgage Refinance Company within the next month but what will define a changing Nairobi will be the groundbreaking for three flagship projects as part of the President’s Big Four agenda,” Esipisu told a press conference on Monday. Esipisu also spoke on health saying the team has given itself a timeline of six months to improve Mbagathi and Mama Lucy hospitals by putting up accident and emergency facilities to reduce pressure on Kenyatta National Hospital, which President Uhuru Kenyatta visited incognito and said he was displeased. The team is also expected to oversee the upgrade of Mutuini Hospital to Level Four status as well as that of 10 other high-volume health centres. “Most of the pressure that Kenyatta National Hospital experiences is related to accident and emergency type issues, road accidents, boda-boda accidents, things like that so there are lots of cases of broken bones putting pressure on Kenyatta National Hospital,” said Esipisu. On traffic jams in the city, Esipisu said the team will take radical measures to ensure smooth flow. These include full car-free days for Westlands and the Central Business District, a traffic management committee, the Bus Rapid Transport (BRT), automation of bus termini and improvement of non-motorised travel. He said the launch of the BRT system will follow the provision of 39 buses and improvement of infrastructure on Waiyaki Way, Lang’ata, Mombasa, Jogoo and Juja Roads. On the Universal Health Coverage agenda, Esipisu said aggressive steps are being taken to ensure success and that Kisumu, Machakos, Isiolo, and Nyeri counties have been identified for a 100 percent pilot. “A pilot is important because it allows the government to assess the efficiency and effectiveness of facilities and institutions that are key to delivery, the availability of human resources, logistics matters, and how citizens are responding,” said the Spokesperson. Esipisu said the other 43 counties will also run pilots involving 10,000 citizens each.